Sales statistics from the Washington County Board of Realtors indicate May 2018 was another strong month for home sales in southern Utah. Classified as either a townhome / condominium or a single-family residential home, 214 of last month’s 372 closed escrow’s occurred less than 30 days. St. George Utah – Between May 1 and May 31, 2018, Realtors with the Washington County Board successfully closed escrow on just over $135 million in real estate transactions. With no attention paid to vacant lots and land, commercial, manufactured housing and fractional ownership transactions, May’s statistics provided by Flex MLS indicates the top sale in the last 30 days occurred in Entrada for $2.95 million. Sold by Ellen Plante-Klein of Engel and Volkers St. George, and originally listed for $3.1 Million, that home closed escrow in 23 days. Per the May sales report, the Average sold price of a home in southern Utah was $364,087. A perpetual issue of negotiations, listings selling within the “Average” price range were originally listed on the Flex MLS system for roughly $365,752. Since May 1, the median list price for a home in southern Utah has been approximately $299,950, with those medium priced homes typically selling for approximately $305,613. Statistically speaking, southern Utah home buyers were quick to act during the month of May. More than half, 57.53 percent, of Southern Utah’s single-family residential (or condominium/townhome) sales occurred within 30 days of being placed on the multiple listing service. Those homes that sold within the first 30 days received an average Sales Price to Original List Price ratio of 99.10 percent. On a year-over-year comparative basis, so far in 2018, Southern Utah’s active Realtors have sold 2,135 total real estate listings. A 5.3 percent increase from 2017’s 2,027 closed escrows, these sales included 7 listings valued in excess of $1 million. So far in 2018, 26 homes valued between $1 million and $1,999,999 have successfully closed escrow. May statistics provided by the WCBR’s FlexMLS system indicates the Active Average list price in southern Utah has continued to increase steadily since the beginning of the year to $520,265, representing 6.85 percent increase from March 2017. Also up over the past 12 months, the Average Sales Price for a home in Washington County has witnessed a 6.85 percent on a year-over-year basis. As of Sunday, May 3, there are just 610 single-family residential listings and/or condominium/townhomes for sale in the greater St. George area. As our MLS inventory remains at historic lows, buyers and their agents will need to be diligent in order to source out the best housing deals. The WCBR Market Summary for May 2018 indicates our absorption rate is just over 3.1 months. In other words, if no new listings were taken and placed on the Washington County Board of Realtors MLS system – our inventory would be depleted within approximately 3 months. The above information is presented as a courtesy of Alex Yeager @ 435MLS.com: Your southern Utah real estate expert for St. George and its surrounding communities. Specializing in southern Utah luxury real estate, new construction, gated communities and southern Utah’s many golf communities. *Information is deemed to be reliable but is not guaranteed. © 2015 435MLS and FBS. Prepared by ALEXANDER YEAGER, 435MLS on Sunday, May 3, 2018, 4:20 AM. Real estate listings in Tuweap Shonto, Anasazi Ridge, and The Ledges of St. George were among the 36 homes sold last week by Realtors in Washington County. 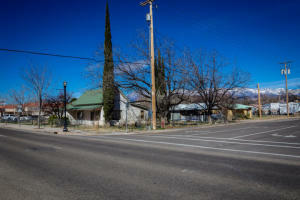 St. George, Utah – According to statistics provided by the Washington County Board of Realtors’ FlexMLS system, last week’s 36 closed escrow’s had a total value more than $12 million. Of last week’s sold single-family residential listings and/or condominium/townhomes, Flex statistics indicate that 17 properties spent less than 30 days on the MLS; 7 properties spent less than 60 days on the MLS; another 7 listings took less than 90 days, and 2 took between 90 and 120 to close escrow. Leaving 3 southern Utah real estate listings on the MLS for more than 121 days. Between April 30 – May 6, 2018, the Average List Price of a home sold in southern Utah was $346,808 while the Average Sold Price was $343,605. Meanwhile, the FlexMLS statistics indicate the Median List Price for a home sold in southern Utah last week was $288,000 and the Sold Price was $298,000. A competitive sector of Southern Utah’s real estate market, those homes sold within the medium price range over the past seven days had multiple offers and sold for roughly $10,000 over asking price. Southern Utah’s MLS inventory currently has 619 single-family residential listings, classified as either a condominium/townhome or a single-family home, these MLS listings range from low $149,900 to $4,999,000. The top real estate sale for Washington County occurred in the Green Springs subdivision during the week of May 6th. Located in Washington City, the home was originally listed for $1,275,000 and spent a total of 71 days on the MLS before closing escrow for $1,150,000. Last week’s 36 closed escrow’s had a total value more than $12 million. The above information is presented as a courtesy of Alex Yeager @ 435MLS.com. Your Southern Utah real estate expert for St. George, Utah and its surrounding communities. All photos provided by the Washington County Border Realtors, the Flex MLS System, and the listing Realtor. * Information is deemed to be reliable but is not guaranteed. © 2016 MLS and FBS. Prepared by ALEXANDER YEAGER, 435MLS.com o Sunday, May 6, 2018. Two Stone Cliff real estate listings open today for your viewing pleasure are listed for sale at just under $200 per square foot. As for the other 13 Southern Utah open houses scheduled for today, the median list price is $379,900. Southern Utah – From Stone Cliff in St. George to Coral Canyon in Washington City, today’s FlexMLS powered open house directory indicates the Average List Price per square foot is $171. With a total asking price of more than $6.8 million, today’s 15 open houses included new construction, golf homes, guard gated estates, and affordable luxury. Available throughout the greater St. George area, including the municipalities of Washington City, Hurricane, and Santa Clara – today’s open house directory indicates all 15 real estate listings will be available Saturday only. The available properties will be located in the following southern Utah subdivisions:’s Bloomington Hills, Brio, Canyon Ter., Estates, Coral Canyon, Freedom Village Fields, Ivins, Las Entradas at Green Springs, New Warm Springs, Silkwood, Stone Cliff, Tonaquint Indian Hills, Tupelo Estates, and Villa Bonita. 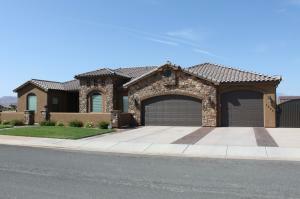 Tuscany Hills, Paragon Cove, and 39 other MLS listings sold as of last Monday in southern Utah. 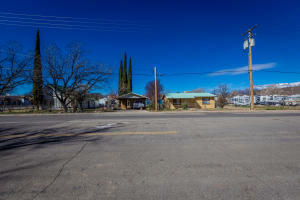 Southern Utah – 41 real estate listings totaling more than $12 million sold over the past seven days in southern Utah. Of those 41 sold listings – 29 spent less than 30 days on the MLS, according to the Washington County Board of Realtors (WCBR). For the homebuyer that thought the St. George housing market couldn’t get any more frenzied, the very real prospect of increased mortgage rates should make you reconsider that position. After projecting more robust economic activity for the remainder of the year, the Federal Reserve ended March by raising its short-term interest rate and maintained its forecast for three additional rate hikes in 2018, according to USA Today. Washington County’s 41 closed escrows occured in the following southern Utah subdivisions over the past seven days: Anthem Estates, Arroyo at Siena Hills, Bella Vista at Stone Mountain, Bloomington Gardens, Bloomington Hills, Bluff View Townhomes, Bristol Park Townhomes, Cambridge Village Townhomes, Coral Ridge Townhomes, Cottages Self, Eagle Ridge, Gardens South Condos, Huntington at Stonebridge, Joshuas at Southgate, Kayenta Patio Home, The Legacy in Southgate, Meadow Valley Farms, Mesa Shadow, Mill Creek Springs, MonteVerde at Green Springs, Northbridge, Paragon Cove Townhomes, Hind View Estates, Pioneer Crossing, Royal Oaks, Santa Maria at Sunnybrook, Siena Heights, Sports Village, Spring Tree Gardens, Sun Valley Estates, Sunnydale Park Condo (3), Treasure Valley, Tuscany Hills, Valley View Heights, and The Villas at Siena Hills. 29 of last weeks 41 closed escrows spent less than 30 days on the MLS (multiple listing service). Taking slightly longer to be considered officially “sold,” 5 closed escrow in less than 60 days, 2 within 90 days, and another 3 took between 90 and 120 to close escrow. Leaving 2 listings that spent more 121 days on the WCBR MLS. For the week of April 8, 2018, the ‘Average Sold Price’ of a home in southern Utah was $315,761. The Median Sold Price for a home in southern Utah has been approximately $280,000 over the past seven days. As of last Monday, the Average, Median, and Low “Sold Price per Square Foot” ranged between $258 on the high side and $66 on the low side. Per the WCBR’s FlexMLS System, last week’s top five real estate sales in Washington County A Total Value of $12,964,229 and took place in the following subdivisions: Meadow Valley Farms, Paragon Cove Townhomes at Stone Cliff, Northbridge at Green Springs, Tuscany Hills and Sun Valley Estates. All photos provided by the Washington County Border Realtors, Flex MLS, and the listing Realtor. All information is deemed to be reliable but is not guaranteed. © 2018 MLS and FBS. Prepared by ALEXANDER YEAGER, 435MLS on Sunday, April 8, 2018. From Stone Cliff to Entrada, Realtors in southern Utah sold 32 single-family units over the past seven days. Classified as either a condominium/townhome or a single-family residential unit, these sales exclude any activity for vacant lots and land. November statistics indicate it was another great month for real estate sales in southern Utah. Over the past 30 days, southern Utah Realtors with the Washington County Board (WCBR) closed 233 escrows worth more than $82 million. From the beautiful Sky Mountain Golf Estates to the guard gated community of Paragon Cove, southern Utah is hosting 15 open houses today. On your mark, get set, go! While more than 7,000 runners from 47 states and 15 countries participate in the 41st annual St. George Marathon, Washington County Realtors will seemingly have a “marathon” of their own. As of 4 am Saturday morning, according to the Washington County Board of Realtors Flex MLS system and my emails … there are 18 Open Houses scheduled for today. Sold over the past seven days in Southern Utah, 37 single-family residential listings or condominiums/townhomes have successfully closed escrow in Washington County. As is usual for this time of year in Southern Utah, the heat is up and our sales are down. Sold in less than 30 days by some of St. George’s knowledgeable Realtors, 22 of last week’s 37 closed escrow’s successfully completed their transaction within a month of listing the property. Listed for $145 per sq ft and selling for $143 per sq ft, those homes falling within the Median price range spent an average Collective Days on Market (CDOM) of approximately 23 days. Meanwhile, those homes languishing at the High end of the price per square foot spectrum spent anywhere from 194 to 349 CDOM. It’s Monday, June 12, 2017, and it’s time to create your Southern Utah Weekly Real Estate Report and a statistical summary. While 22 of last week’s sold Southern Utah real estate listings received a REPC (Real Estate Purchase Contract), completed their contingency period (due diligence), and closed escrow within 30 days. Cognizant that perceived value matters, the remaining 15 Southern Utah real estate listings took significantly longer to find their respective buyer and close escrow: 9 sold b/t 31-60 days; 3 closed in under 90 days; 1 took up to 120 days, and 2 were on the WCBR (Washington County Board of Realtors) MLS (Multiple Listing System) for more than 6 months. Selling $10,439,676 worth of prime Southern Utah real estate for $10,616,421 – 59.46% of last week’s closed escrows completed their transaction in less than 30 days. Last week’s 37-closed escrow occurred in the following Washington County subdivisions: Bluff View Townhomes, Cantera Cliffs, Castle Rock, Cheyenne Red cliffs, Cliff Rose, Cobblestone, Coral Canyon, Eagles Landing, English Oaks, Escalera, Green Valley, High Chaparral, Holt, Horizon West, Huntington Stonebridge, Pioneer Crossing, Red Cliffs Park, Ridge at St. George, Santa Maria At Sunbrook, Shady Lane, South Pointe, Springfield Townhome, Spring Tree Gardens, St. James Place, Sugarplum In the Fields, Sunriver St. George, and Terrah Dawn. The above information is presented as a courtesy of Alex Yeager @ 435MLS.com. Your Southern Utah real estate expert for St. George and its surrounding communities. Specializing in Southern Utah luxury real estate, new construction, gated communities and southern Utah’s many golf communities. Three in Hurricane, Utah … One in Silkwood (Little Valley – St. George, Utah). There are currently 696 single-family residential/condominium-townhome listings on the Washington County Board of Realtors MLS. Despite that, because it’s summer – there are only four open houses. On a price per square foot basis, today’s southern Utah open houses are listed on the MLS for between $130 per sq. ft. – $166 per sq. ft. Primarily condensed in Hurricane, Utah schedule open houses can be found in the following Washington County subdivisions: Silkwood, Dixie Springs, Downtown Hurricane. 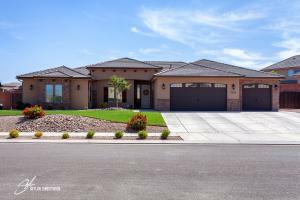 Located in the Little Valley area of St. George, Utah, the Silkwood subdivision is conveniently close to schools, churches, and recreational activities. Residents of the Silkwood subdivision are charged a monthly Homeowners Association fee (HOA) of $25.